So we have started a new year (OK, technically we started the New Year 28 days ago, but who is counting?) Now a New year traditionally means “New Years Resolutions” But since I am crap at sticking to them I try and do something different instead, some thing I am more likely to stick too. This year are much discussion with PlanetPete, and even more working out and finalising of details. You could say 28 days worth of finalising which means I am not late posting this at all, but was FINALISING!!!! Where was i? Oh yes thats right. 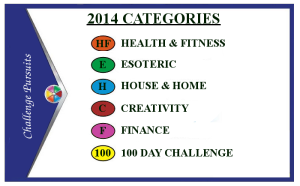 This year we are doing “Challenge Purists” Which is loosely based off the Trivial Pursuits Game. We have appointed different categories to the Tradition colours, and just like in the game you have to complete some goal in that category to win the piece of pie. 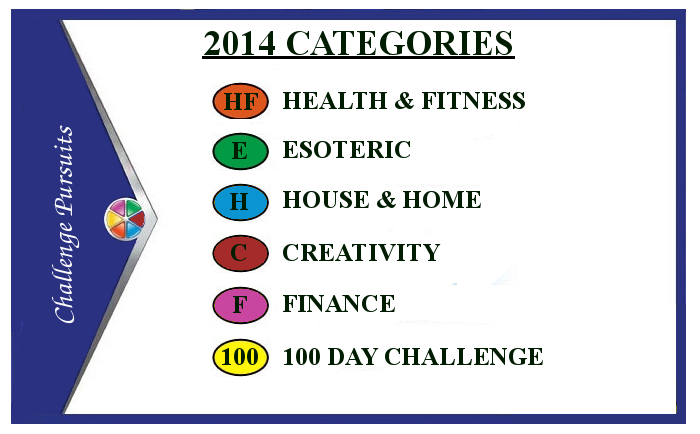 Yes People, its combining New Years Resolutions with challenges & competitiveness & Gaming. How can it not work? ?